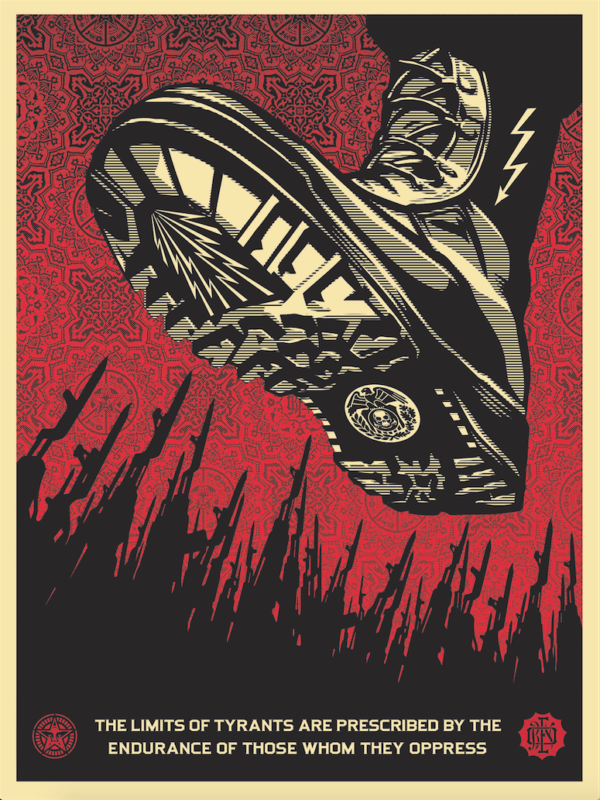 The Tyrant Boot print was inspired by the Frederick Douglas quote “The limits of tyrants are prescribed by the endurance of those whom they oppress”. Frederick Douglas, an African American, was a leader of the Abolitionist Movement. He was a firm believer in the equality of all people, whether black, woman, Native American, or recent immigrant. He was fond of saying, “I would unite with anybody to do right and with nobody to do wrong.” I felt that this print is appropriate for the situation my friend Revok is facing. Revok has been a major inspiration for me since I saw he and Saber’s huge pieces in the San Fran Bay area in the mid 90’s. I’ve never seen a Revok piece that did not enhance its surroundings. In July, the famed Los Angeles graffiti artist was arrested on felony vandalism charges. Indio police raided REVOK’s home, confiscating art supplies, cameras, hard drives, computers-”essentially everything he uses to earn a living. This has crippled his entire business and destroyed his income. To add insult to injury, the felony charges are excessive and unjustified. REVOK is a celebrated artist who has dedicated his life to his work, not a criminal deserved of jail time. To fight these charges, REVOK will incur great legal expenses. 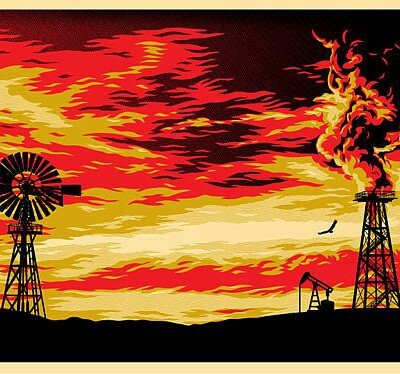 If you would like to help, buy this print, or please visit www.revok1.com to see more of his work. All profit from the Tyrant Boot will go to Revok’s legal defense fund. 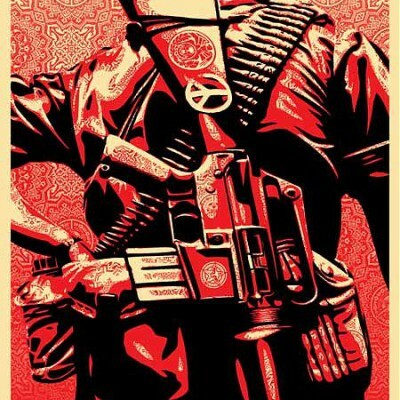 Combat oppression, support and buy something.